During my teen years I developed an unfortunately negative view of and attitude toward marriage and children. Partly this came from experience. Though I have since learned that my parents expressed their feelings of love and tenderness in private, what I too often witnessed were criticisms and arguments. 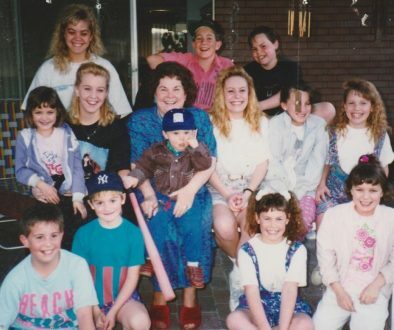 Also, growing up as the oldest of a large family—the tenth child was born during my senior year in high school—I experienced all of the drudgery and few of the joys of motherhood. An even bigger contributing factor was that I failed to understand certain doctrines and principles and misunderstood others. I thought that marriage and motherhood meant that I had to diminish, to become less than my full potential, to sacrifice the essence of who I was and the things I most desired. I thought I would be miserable! Though I dreamed of romance, I tended to avoid boys and dating because I truly believed in the gospel, the scriptures, and the commandments, and therefore I couldn’t see how I could have the romance I craved without the marriage and family I feared. I needed to understand why marriage and family were eternal parts of the gospel, and all my prayers and study of the Book of Mormon left me dissatisfied. The first glimmers of an answer came when I went to the temple in August 1992. The Holy Ghost taught me that Heavenly Father was pleased with Eve’s purity and righteous desires. I knew that not only did he love Eve, but he loved all of his daughters, and he loved me. I knew that he would never require of me anything that wouldn’t lead to my greater happiness. In the safety of a mission environment when dating and marriage were clearly against the rules and I didn’t have to act immediately, I felt the first seeds in my heart that marriage and children just might be right for me. Even though I had a testimony of the importance of marriage in the Plan, it was still hard to exercise the faith I needed to act on it. The real test came almost four years later. I’m ashamed to say that not even an hour after I accepted my husband’s proposal, I told him that I wasn’t sure and needed more time. The problem wasn’t this man I knew I loved; the problem was marriage itself. It was forever, but would it lead to my eternal happiness or misery? The next several hours of uncertainty were agonizing for him and for me. I spent them on my knees, plagued with tears, fears, and indecision. Finally, as I read from the Book of Mormon, the impression came to me that I could not rely upon my own feelings in this matter but must rely on the witnesses of others. I thought of what I had learned of marriage, and I also had the witness of those close to me, who assured me that he was a wonderful man. That evening I called him and said I was saying yes for real this time. 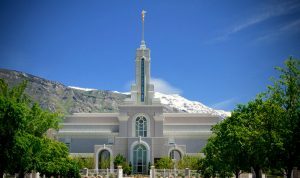 Our very short six-week engagement was filled with more doubts and fears, which I tried to keep to myself, but finally the day came, and in 1997 we were sealed in the Mount Timpanogos temple. We will have been married 19 years in August, and we have three children. Marrying him has proven to be one of the greatest blessings of my life, and each year gets better! I know that the doctrine of eternal marriage leads to our happiness, and that happiness in marriage results when covenants are made and kept between two people who serve, honor, and love the Lord and each other.